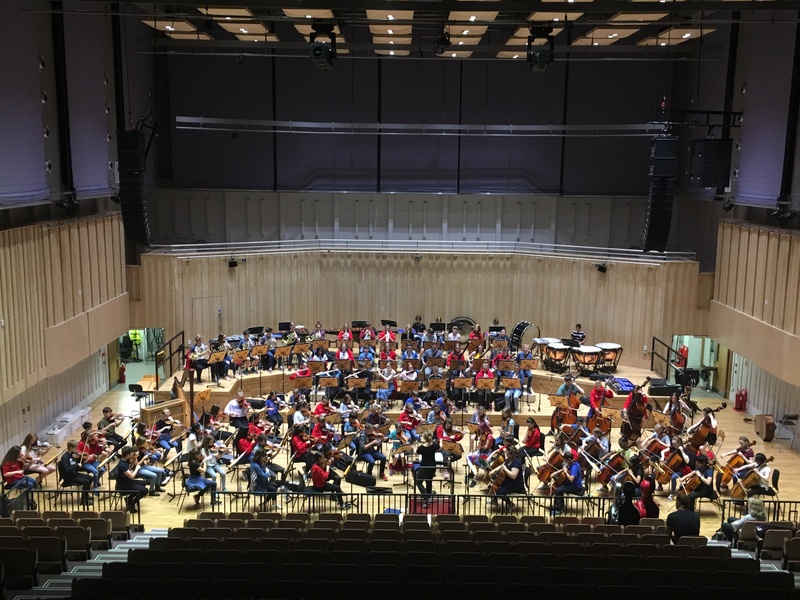 NYOS Junior Orchestra had a very special visitor on the summer course this year and followed that up with an inspired concert performance with soloist Ben Burnley in front of a capacity crowd in Glasgow. The only sad note of the evening was this being conductor Holly Mathieson’s final time leading our youngest instrumentalists in concert. 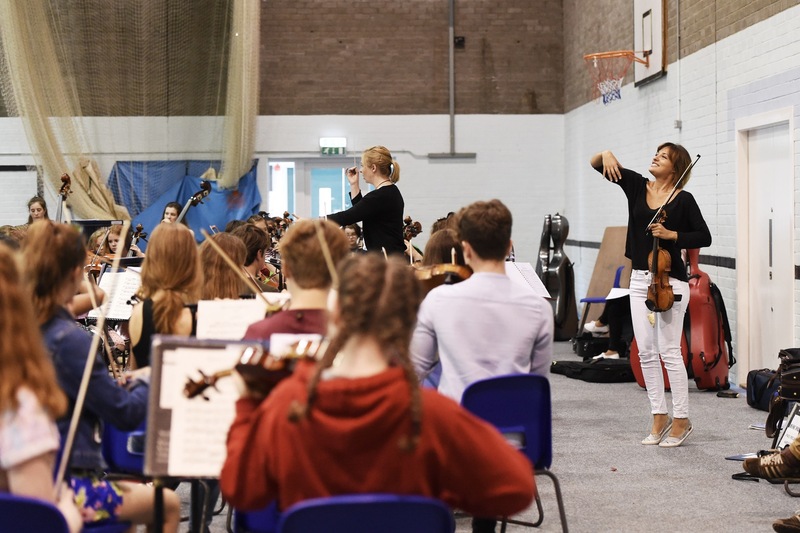 Picture the scene, 100 eight to sixteen year olds sit nervously in a large gym hall in rural Perthshire awaiting the arrival of Orchestra Patron and classical music mega star, Nicola Benedetti. ‘Nicky’, as she is now affectionately known to all 100 starstruck youngsters worked with the string section and then the full orchestra on the final day of the course giving them some top training and performance tips. 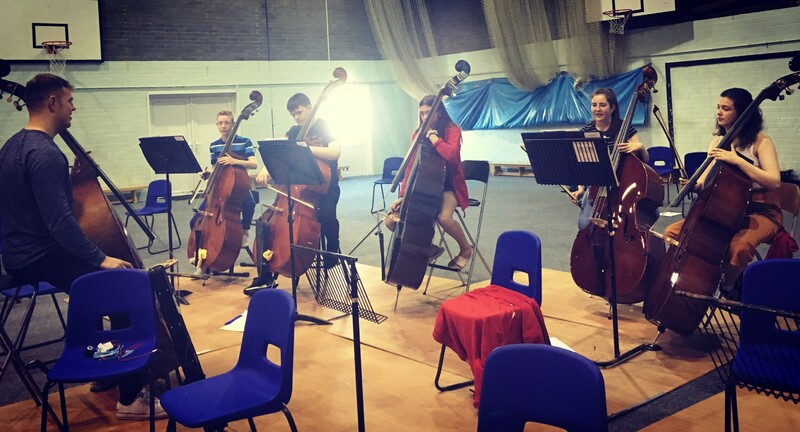 NYOS alumni and former Symphony Orchestra Principal Double Bassist Ben Burnley performed as soloist with the orchestra in Glasgow, and also took the double bass section for a special masterclass on the new and strange techniques he was using in Anthony Ritchie’s ‘Whalesong’. 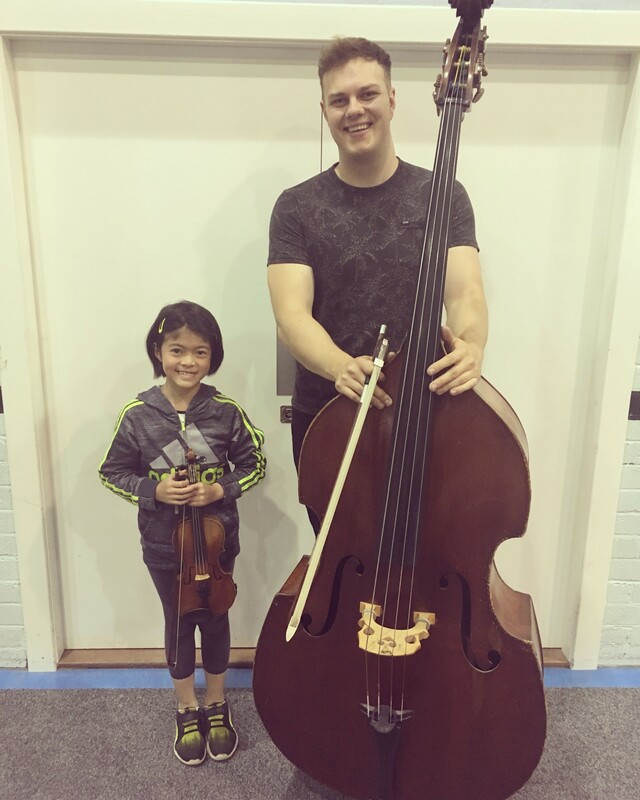 'Little and Large': below is a photograph of soloist Ben Bunley alongside our smallest Junior Orchestra member Eilidh Hong. On the course, everyone enjoyed the glorious sunshine with football, rounders and lots of team games. A special prize was awarded to the student who could do the best impression of New Zealand conductor, Holly Mathieson. The New Auditorium at Glasgow Royal Concert Hall was packed, with extra seats required to accommodate latecomers. The capacity audience of mainly friends, family and supporters only added to the already warm and welcoming atmosphere as conductor Holy Mathieson led our youngest musicians for the final time. 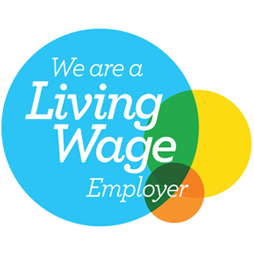 We would like to take this opportunity to give special thanks to conductor Holly Mathieson. 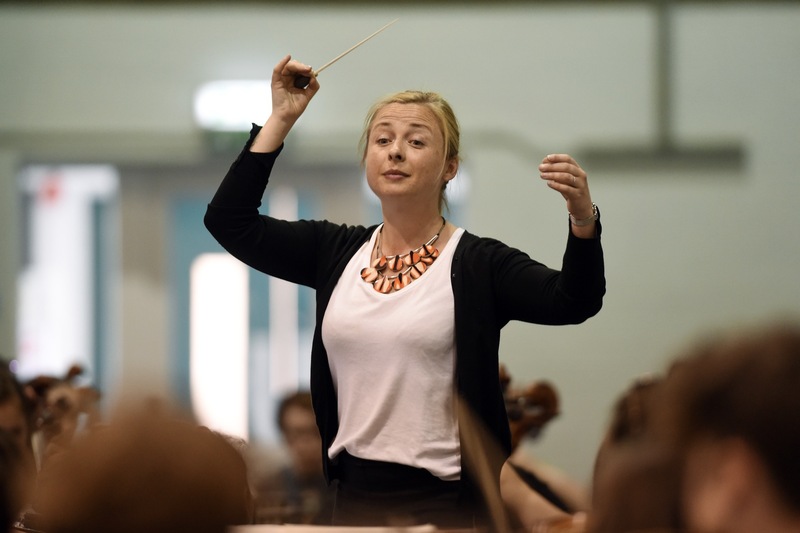 She has worked with and inspired our youngest musicians to play beyond themselves for the past four years, with amazing results and well-deserved, rave reviews. We are so sad to bid Holly farewell, but also excited to watch her career develop and flourish.